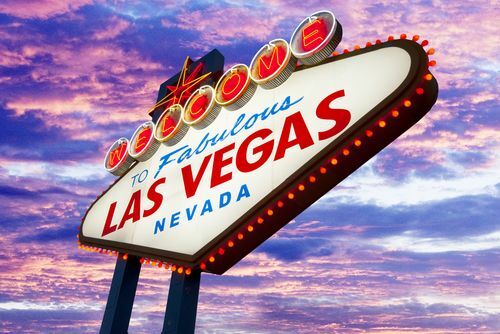 Real estate professionals will have a once-a-year opportunity to learn from some of the best practitioners in the industry at LeadingRE’s 2015 Conference Week, to be held February 9-13 in Las Vegas, Nevada. Please visit Marketing Expert, Dink Card, at Continuity Programs’ exhibit to learn about Continuity’s new developments and get some samples and coupons. The Leading Real Estate Companies of the World Conference Week will be housed at the Wynn Las Vegas, one of the most luxurious hotels on the famed Las Vegas Strip. The conference’s keynote speaker will be Rudy Giuliani, former mayor of New York. Performance Summit, for sales associates. The performance summit will include informative talks and presentations, a Professional Development Manager Forum, and a Commercial Real Estate Forum. Attendees can learn about and discuss industry best practices, trends, and important issues facing real estate sales associates. Luxury Summit, for real estate professionals in the luxury real estate market. The summit will include concise, educational talks that cover topics such as inspiring emotion through visual images, using social media for marketing, and story telling to differentiate your properties and your marketing methods. Sales Manager Summit, for real estate sales managers. This programming track will focus on issues of concern to sales managers and will give attendees the opportunity to develop and examine initiatives based on the three pillars of office leadership. Topics covered will include increasing productivity, recruiting, improving sales performance, and developing sales talent. These summits will run concurrently from Monday, February 9 to Wednesday, February 11. Marketing and technology professionals will have the opportunity to attend their own exclusive event from Wednesday, February 11 to Friday, February 13. Programming will focus on topics such as improving marketing strategies, effective use of the latest technologies, and how marketing and technology professionals can contribute to the performance of a real estate company. Registration for the LeadingRE 2015 Conference is underway, with incentives for attendees that include rebates, free exhibition booths, and special gifts for referred attendees. Continuity Programs will be an attendee and exhibitor at LeadingRE’s 2015 Conference Week, showcasing our real estate marketing, lead generation, and client follow-up solutions for real estate professionals.